Small-leaved limes Tilia cordata, copyright Waugsberg. The Tiliaceae or Tilioideae has been used by past authors in a broader sense than its current circumscription, but most recent authors would restrict this name to a group of trees and shrubs from northern temperate regions and Central America. 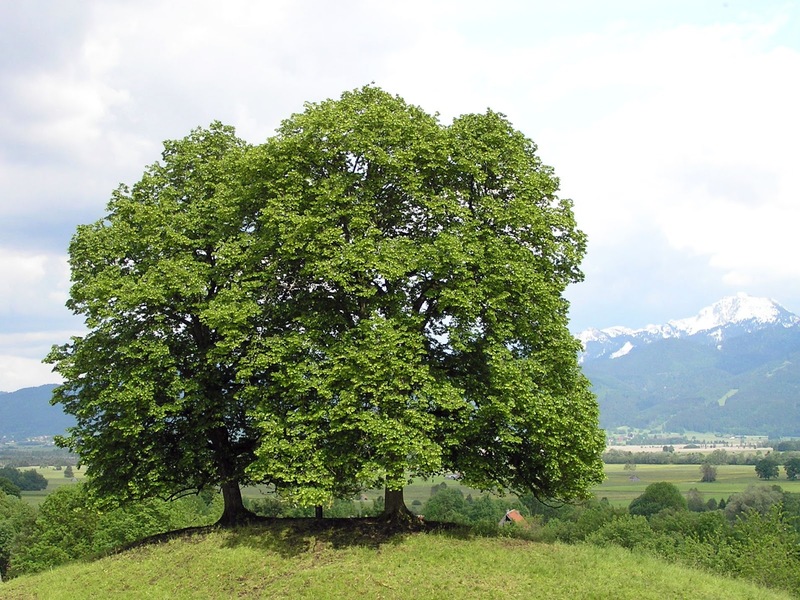 Species of the genus Tilia, the limes or linden trees, are large, deciduous trees with heart-shaped leaves. Entelea arborescens, whau, is a small tree with dry, spinose fruit capsules endemic to New Zealand. Synapomorphies (from the Angiosperm Phylogeny Website): Stachyose, raffinose present; some species with siliceous leaves; petiole bundle annular, with medullary phloem strands and inverted bundles; leaves distichous, horizontally conduplicate; calyx free; androecium free, staminodia and stamens antepetalous, antesepalous sector empty; gynoecium opposite sepals; outer integument 3-4 cells across, inner integument 4-5 cells across, postament present; cotyledons folded; n = 41. [D24] Dixon, H. N. 1924. The Student's Handbook of British Mosses, 3rd ed. V. V. Sumfield: Eastbourne. [H03] Healy, R. A. 2003. Mattirolomyces tiffanyae, a new truffle from Iowa, with ultrastructural evidence for its classification in the Pezizaceae. Mycologia 95 (4): 765–772. [RB05] Ruczyński, I., & W. Bogdanowicz. 2005. Roost cavity selection by Nyctalus noctula and N. leisleri (Vespertilionidae, Chiroptera) in Białowieża Primeval Forest, eastern Poland. Journal of Mammalogy 86 (5): 921–930. [V00] Ventenat, C. 1800. Extrait d'une monographie du genre tilleul. Bulletin des Sciences, par la Societé Philomathique de Paris 2 (35): 83–84.